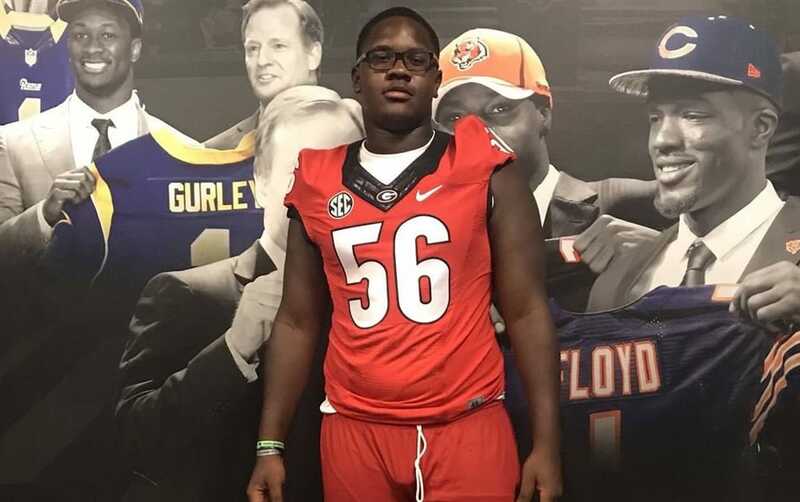 Warren Brinson, a three-star defensive tackle from Savannah, Georgia, has committed to the Georgia Bulldogs for the class of 2020. Brinson announced his commitment to the Bulldogs on Twitter shortly after Georgia’s 45-21 manhandling of Georgia Tech. Warren Brinson (6-4.5, 290) currently attends IMG Academy in Bradenton, Florida. He committed to the Georgia Bulldogs over offers from Minnesota and Tennessee, and he also had interest from Alabama, Clemson, Mississippi State, and South Carolina. Rivals.com rates Brinson as a three-star recruit and the No. 71 recruit in Florida for the 2020 class. 247Sports has not issued a rating for Brinson yet. Brinson is the 4th verbal commitment for the Georgia Bulldogs for the class of 2020. Georgia’s 2020 class is currently ranked 12th by 247Sports. The Bulldogs have six less commitments than the top-ranked team, Alabama.